Shopping Mall Advertising Services in Delhi, Shopping Mall Advertising in Delhi, Advertisement in Shopping Mall in Delhi. 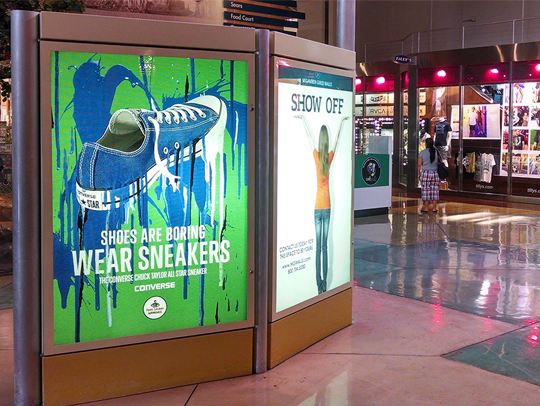 We hold specialization in designing and displaying a wide range of media for Mall Advertising. Designed in accordance with specification given by the clients, these display items are attractive, clearly visible and expressive. Our in-house team of designers possesses immense expertise to offer advertising solutions in various customized forms.